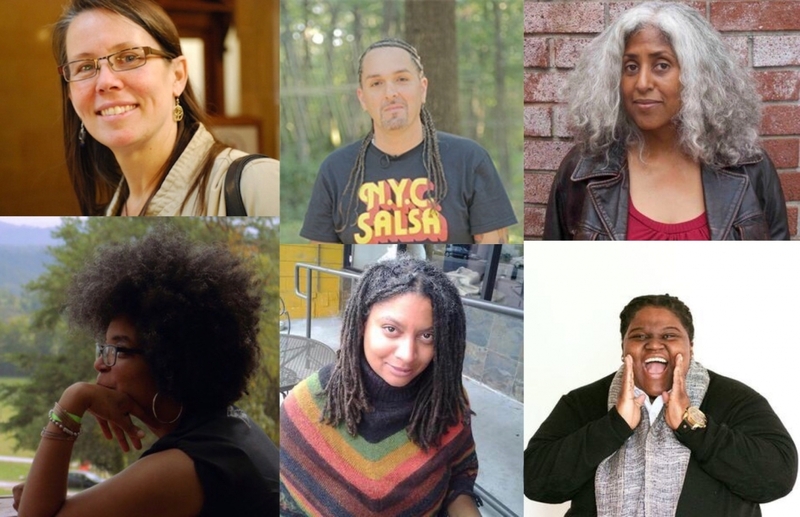 Today, we’re excited to announce CommonBound 2018’s plenary speakers: six incredible change-makers who are building a people's economy and bringing justice, democracy, and sustainability to our communities. Ash-Lee Woodard Henderson, M Adams, and Makani Themba will kick things off on Friday with our opening keynote panel about "Owning This Moment." Then, on Saturday, Doria Robinson, Jorge Díaz Ortiz, and Rebecca Kemble will follow it up with a panel on "Owning Local Power." See more details about each panel below. Click here to read their bios. Be sure to register for CommonBound happening June 22-24 in St. Louis to witness these incredible panels in person. They're gonna be good. P.S. Can’t join us in St. Louis? Register for the Livestream! Both plenaries will be livestreamed. KEYNOTE PANEL: "Owning This Moment"
Real talk. What is it going to take to step into our power, defend our communities, and build a liberatory future for all? What are the key opportunities and challenges ahead of us? How should our movements adjust to this moment in history? KEYNOTE PANEL: "Owning Local Power"
If we’re serious about achieving a new economy, all of us need to build and contest for power at the local level. Saturday’s keynote panel will bring three leaders -- Rebecca Kemble, Doria Robinson, and Jorge Ortiz -- in conversation with one another about different strategies and approaches to building local power. Drawing on their own varied experiences as community-organizers, the panel will grapple with the challenge of how to accelerate and scale solidarity economy organizing in place and for the long haul.